Alberto Zaccheroni has no concerns about the state of United Arab Emirates' attack ahead of their Asian Cup last-16 clash with Kyrgyzstan on Monday. Hosts UAE finished top of Group A despite only winning one of their matches, with eliminated India matching their tally of four goals in the opening stage. One of those four strikes came from the penalty spot in their opening draw against Bahrain, but Zaccheroni is confident his team will reach a higher level in the knockout rounds and prove more dangerous. "The attack doesn't rely on one or two players, we need to initiate a move from the back," said the Italian. "We have to create opportunities by shooting at goal and all the statistics from the previous matches show we have held the possession. The percentage of attack was also more than the other teams. The goals other teams have scored come from counter-attacks. "The players are looking to improve their performance. You also have to understand that the teams that we have played against have opted to be on the defensive as well." Competition debutants Kyrgyzstan secured their place in the last 16 courtesy of a hat-trick from Vitalij Lux against Philippines in their final Group C outing. The 29-year-old, who plays his club football for Ulm in the German fourth tier, believes he can have a similar impact at Zayed Sports City Stadium. "I think I can be decisive again. I have scored in the German Cup and the Asian Cup. Why not? I'm in good form and hope to do it again," said Lux. "It's my job to score goals. As a team, we want to achieve good results and in [Monday's] game too." Although Zaccheroni has been frustrated by UAE's attack, Mabkhout has two goals in his last two outings. If they create more openings for him, Kyrgyzstan could find themselves in trouble. After scoring the opener in the 2-1 defeat to China in Kyrgyzstan's opening match, Israilov set up Lux for his first goal in the 3-1 win against Philippines last time out. Kyrgyzstan will be hoping he can continue to get the striker involved. 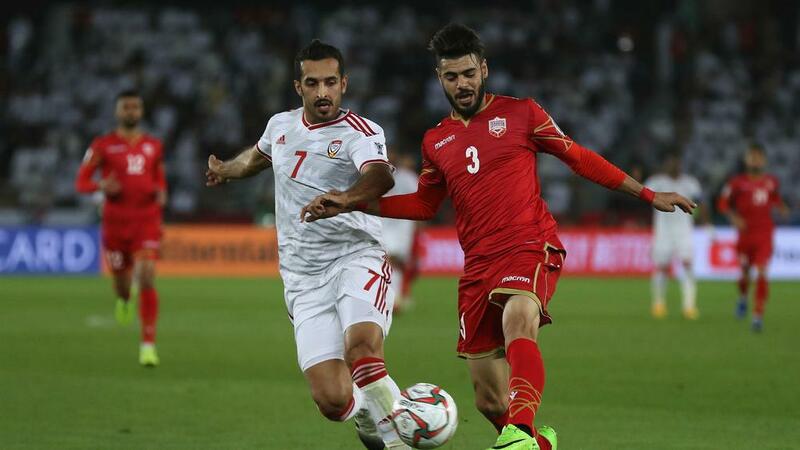 - This will be the first meeting between United Arab Emirates and Kyrgyzstan at the Asian Cup. - UAE have reached the knockout stages of the Asian Cup for the second successive tournament and the fourth time in total – they lost 2-0 to the eventual winners Australia in the 2015 semi-final. - Mabkhout has been involved in eight goals in his nine Asian Cup games for UAE since the start of the 2015 edition (seven goals, one assist). - UAE are looking to become the seventh side to host the Asian Cup and win the tournament after South Korea (1960), Israel (1964), Iran (1968 and 1976), Kuwait (1980), Japan (1992) and Australia (2015).